Aero, Aerora, and Aeroga magic are spells used by Sora, Donald, and other characters and enemies that utilize the element of Air. By casting Aero, Aerora, or Aeroga in Kingdom Hearts, a barrier of wind surrounds Sora for a duration of Max MP+18 seconds. This wind barrier cuts the damage taken in half. Aerora and Aeroga have the added effect of damaging any enemies that touch the barrier. A barrier cast by Aeroga may deflect certain attacks, and is more protective from boss attacks. However, it is important to note that Ursula and the Ice Titan actually become stronger if Sora uses any form of Aero. In Kingdom Hearts: Chain of Memories, Aero magic blows enemies away, and is short range offensive magic. It is similar to fire magic in Kingdom Hearts II. Like Gravity, Aero was replaced by a different spell in Kingdom Hearts II, in this case, by Reflect. Aero magic is classified as Defensive Magic. In the Final Fantasy series, the second level of the spell was called Aera, not Aerora. Blizzard, Blizzara, and Blizzaga magic are attacks used by Sora, Donald, and other characters and enemies that utilize the element of Ice. In Kingdom Hearts, Blizzard shoots a spreading burst of ice blocks in front of Sora, a spread which widens when upgraded. It costs 1 MP bar to use. In Kingdom Hearts II, Blizzard replaces Fire by shooting a single ice chunk directly in front of Sora. Blizzard magic will be usable again in Kingdom Hearts: Birth by Sleep. Cure, Cura, and Curaga magic are spells used by Sora, Donald, and other characters and enemies that utilize the element of Plants. Cure magic makes the target recover an amount of lost HP. In Kingdom Hearts Cure acts very much like a Potion; Cura acts very much like a Hi-Potion; Curaga, despite still needing to choose a target, recovers all party members (very much like a Mega-Potion). It costs 1 MP bar to use. In Kingdom Hearts II, Cure magic is much more powerful and nearly always fully heals its target as well as allies within the proximity of the deployment. Cure magic further gains an increasingly large area of effect as the spell's level increases; however it also consumes all of the user's MP in one casting. Darkness is a parallel force to Light in the Kingdom Hearts universe and is also a form of attack from the Kingdom Hearts series. Darkness is associated with evil due to its nature of deception. People may lose their hearts if they have delved too deep into it. Driven insane by its corruption, they become a Heartless. Those that follow the path of darkness (villains such as Maleficent and Xehanort's Heartless) gain enormous power but usually lose much of their physical selves to it. Mickey's Keyblade represents darkness though he follows the path of light. Darkness can be used for more then just a means of attack and transportation (Corridor of Darkness), as it can also alter the appearance of the user. Ansem and Riku are two users of darkness that can change appearance by utilizing it's properties. Riku transformed into Xehanort's Heartless by the power of darkness, while Ansem The Wise used it to become DiZ. The Dark element is also used as a form of attack by the Heartless, Nobodies, Riku, and some bosses. Sora does not use the darkness as a means of attack, the exception being Anti Form. Sora and his party can be protected from Dark attacks by equipping certain items such as the Midnight Anklet. Fire, Fira, and Firaga magic are attacks used by Sora, Donald, and other characters and enemies that utilize the element of Fire. In Kingdom Hearts, using Fire magic will make Sora shoot a fireball straight forward from the tip of his Keyblade and it has an MP cost of 1 Charge Gauge unit. The fireball has slight homing properties, meaning it can arch in any direction, however, the arch is rather large. In Kingdom Hearts II, Fire acts as a shield that forms around Sora and attacks any enemies that comes in contact with it; useful until acquiring the Reflect spell. Fire magic will be usable again in Kingdom Hearts: Birth by Sleep. It seems it can be used as both a fireball and a shield. Gravity, Gravira, and Graviga magic are attacks used by Sora, Donald, and other characters and enemies that utilize the element of Weight and Darkness. Gravity creates a dark sphere to temporarily flatten all enemies in range and deal damage equal to a fraction of their current HP. The fraction varies depending on both the level of the spell and Sora's magic strength; if he is powerful enough, it can take away 100% or more of an enemy's HP, essentially being an instant kill on any enemy not resistant. Unfortunately, all bosses are resistant to Gravity, as are most enemies in the later stages of the game (though normal enemies only take slightly less damage, and it's possible to instantly kill even them). Gravity only appeared in Kingdom Hearts. It was replaced by Magnet in Kingdom Hearts II. Gravity magic is classified as Advanced Magic. 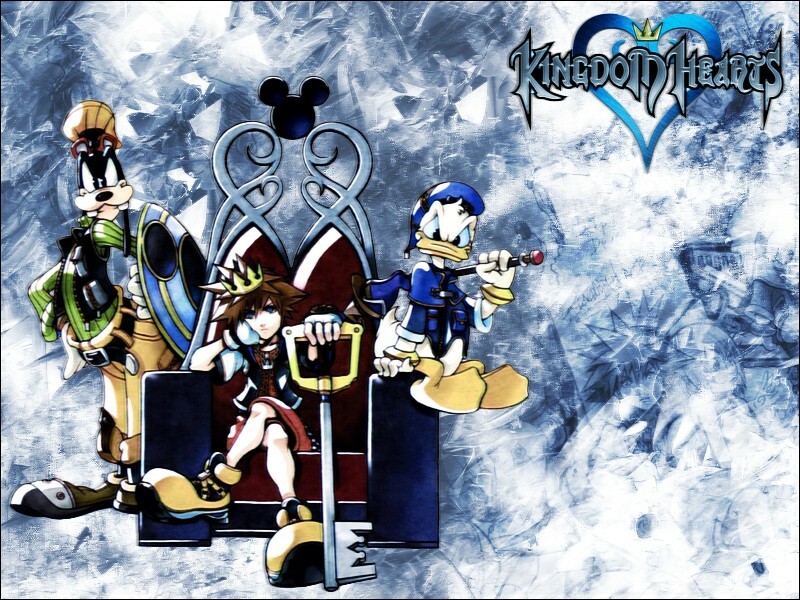 Magnet, Magnara, and Magnega magic are spells used by Sora, Donald, and other characters and enemies that utilize the element of Weight and Darkness. Magnet is a special type of magic that attracts enemies, orbs, and items towards the Magnetic Orb it creates. As the rank of the magic increases, the orb becomes bigger and more powerful. It is extremely helpful when battling the Grim Reaper in Port Royal. Enemies in the orb continually take damage. Magnet replaces Gravity in Kingdom Hearts II, its only appearance. Magnet magic is classified as Advanced Magic. Reflect, Reflera, and Reflega magic are attacks used by Sora, Donald, and other characters and enemies that utilize the element of Light. Reflect acts very much like Aero. However, unlike Aero, it produces a barrier of light for a second that guards from attacks, then it goes away. With the addition of Reflera, any enemies within the Reflect dome when the spell is cast are injured. Reflega is a powerful attack that shields Sora from an attack, and then unleashes a spray of light around the dome that does damage equal to the enemy's attack power to anything hit by the light. However, not all attacks can be reflected. Reflect replaced Aero, and only appeared in Kingdom Hearts II. Although no enemy uses Reflect, both Silver Rock and Roxas use the element of Light. In Kingdom Hearts II: Final Mix+ in the secret ending Birth By Sleep, Aqua is shown to use a spell similar to Reflect. Reflect magic is classified as Defensive Magic. Stop, Stopra, and Stopga magic are spells used by Sora, Donald, and other characters and enemies that utilize the element of Time. By using Stop, Sora can prevent a target from moving for a limited amount of time. As the rank of Stop increases to Stopra and then Stopga, its range and duration increase. When a frozen enemy is attacked, no damage is dealt at first, but the accumulated damage is dealt when Stop wears off. After the keyhole in Hollow Bastion is revealed, the efficiency of Stop against a foe is reduced to 60% of what it once was for many enemies. The second installment of the Stop magic is obtained through adventures in the 100 Acre Wood level. The final upgrade for Stop, Stopga, is the only reward in the game that is received by defeating a hidden boss (in this case, the Phantom). The duration of Stop, Stopra, and Stopga can be determined by taking Sora's Max Mp and adding 2 to it. Note that after the keyhole in Hollow Bastion is sealed, the effectiveness of these spells diminishes. Stop and its more powerful forms were absent from Kingdom Hearts II, although there was a Time-controlling boss, Luxord. Stop magic is classified as Advanced Magic. Thunder, Thundara, and Thundaga magic are attacks used by Sora, Donald, and other characters and enemies that utilize the element of Electricity. In Kingdom Hearts, Thunder was a more powerful and costly spell than Fire or Blizzard, summoning a barrage of lightning bolts from above to strike an enemy and any other enemies nearby. It cost 1 MP bar to use. In Kingdom Hearts II, Thunder is more or less equal to the other attack spells, summoning a single lightning bolt to strike one enemy. The area of effect increases with Thundara and Thundaga. Thunder magic will be usable again in Kingdom Hearts: Birth by Sleep.